Despite a great word-of-mouth reputation Applus RTD wasn't communicating consistently with employees and clients and as a result its brand identity ranged between diluted and disparate. Our goal was to realign all the elements. Applus RTD is a company that isn't afraid to stand out, so we created a new visual identity that authentically captured this aspect of its personality. Heading up the brand refresh was the tagline ‘clear insight', which encapsulated the essence of the organisation. Not only does its technology let businesses inspect their equipment inside and out, it also allows them to have a full understanding of integrity issues. 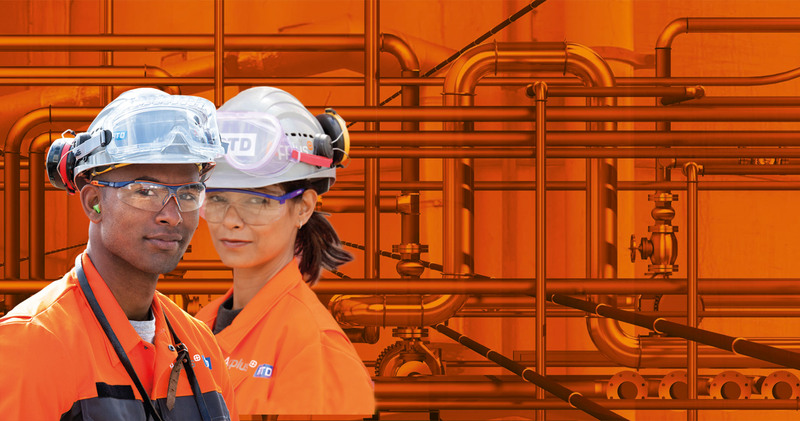 Visually, images of team members looking straight towards the camera and pipelines reflected integrity in every sense. Layering these over a striking orange colour palette ensured these couldn't be missed! The brand launch featured two giant exhibition trucks debuting at the Offshore Technology Conference in Houston; the largest event in the oil and gas industry calendar. Strategic PR activity in the run-up to, and during the event ensured that Applus RTD was a talking point for all the right reasons. These reasons included the unveiling of the company's new revolutionary scanning technology, strategically timed to demonstrate that Applus RTD is a company that actively pursues innovation, not one that just talks about doing so. We have subsequently worked closely with Applus RTD to formalise a set of key internal values. With these in place, the company has achieved a renewed sense of clarity, drive and unity. The trucks continue to tour the globe, taking the brand and its technologies wherever they need to go.